Everyone loves a cup upset (especially punters who have backed one at long odds) so the question we want answering is can League Two Bristol Rovers cause one of the shocks of the FA Cup third round when they entertain Aston Villa? It’s a tie that sees a Premier League team flattering to deceive travelling to a lower league ground and as the TV cameras will be at the Memorial Stadium on Saturday evening, someone somewhere obviously fancies the chances of some cup drama. And as much as I’d love to be able to tip Bristol Rovers to cause some more pain for Villa boss Alex McLeish, I just don’t see the managerless Pirates having enough about them against vastly superior opposition and at 53/100 with bwin, I see the visitors as good things here. Rovers are 9/2 shots with bwin to cause an upset, with the draw priced at 31/10. I’ve written plenty this year about how I look to oppose Villa at every opportunity, and though a 3-1 win at Stamford Bridge on New Year’s Eve was the sort of result that could have made me look foolish, the fact it was swiftly followed by a dismal 2-0 reverse at home to Swansea City does nothing to change my mind that they are a club who are stagnating, both on and off the pitch. However, I think they are certainties on Saturday and I am surprised you can get 53/100 about a Premier League team away to League Two opposition in such disarray. Rovers sacked manager Paul Buckle in the week following a desperately poor season so far and they look in no sort of shape to pull off a giant killing. A thumping 6-1 win over non-league AFC Totton put Rovers into the third round, but that was a rare highlight of a season that went wrong under Buckle. 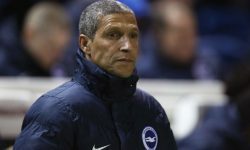 Having done such a good job at Torquay United, when he took over just-relegated Rovers in the summer no-one foresaw Buckle overseeing just six wins in 24 league games. 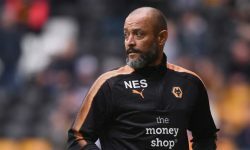 He leaves the pre-season promotion favourites in 19th position and in a relegation battle after a run of six defeats and two draws in his last eight league games. Rovers sacked manager Paul Buckle in the week following a desperately poor season so far and they look in no sort of shape to pull off a giant killing. And even if rumours that the Rovers players are delighted at his departure are true, even allowing for an upturn in performance (and the natural adrenalin rush a match against Premier League opposition will bring), I don’t envisage them being able to turn it on enough to beat Aston Villa. When McLeish was at Birmingham, he mostly took the cups seriously – he won the Carling Cup last term, lest we forget – and his record against lower league opposition was very good. I see no reason why this will change on Saturday, particularly as McLeish can’t afford to be on the end of a giant-killing with his reputation already low in the eyes of Villa fans. Villa will inevitably make changes, but I still think they will have too much for Rovers, who have conceded 47 goals in League Two – only one team have conceded more – and 23 of those have been at home. So instead of taking the 53/100 on Villa, take the 6/5 that Villa win in a match that has over 2.5 goals. Games involving Rovers are averaging 3.21 goals a fixture, with 63% of those over 2.5 goals. Villa are not too tight – they have only kept five clean sheets in 21 games this season – but Rovers have conceded 16 in their last six games and the extra class of McLeish’s men can tell.